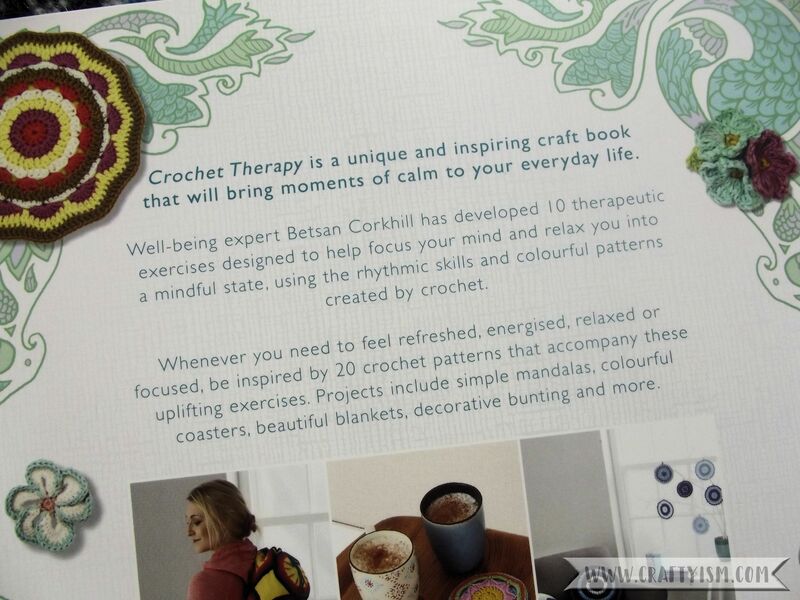 I’ve just bought a unique book called Crochet Therapy by Betsan Corkhill which I’m going to review for you. Now I would say when it comes to crochet, I’m an adventurous beginner. I have a lot of enthusiasm but not much of a clue as to what I’m doing! Most of my family and friends are knitters or sewers, so I have no-one to show me how to crochet. Whilst YouTube videos are extremely helpful in learning a new skill, I do love a good book and that’s where Crochet Therapy comes in. The tagline for Crochet Therapy is ’20 mindful, relaxing and energising projects’ and the main reason I bought this book is that unlike so many others, I could actually see myself making all of the projects. On my list to make next are the ‘Comforting Cushion’ made with super bulky yarn and the dainty ‘Let’s Be Friends Bracelets’ which will be perfect for summer outfits. The unique element that really stood out to me in Crochet Therapy is it’s focus on crochet as a therapy. The book is split into 10 sections each with two projects in it, but at the start of each section is a guided exercise or meditation. These focus on different themes including calm, refresh, energy and focus. The idea is that you read these guides and then practice or think on them whilst working up the crochet projects. I love this idea as I really do believe that craft and creativity are a brilliant therapy for stress and mental health problems. Whilst making a project, you are entirely focused and there is no room in your mind for everyday worries and problems. This is something that Crochet Therapy reminds us and actively promotes. Along with all the great projects, Crochet Therapy has this really informative stitches library in the back. From very basic chain stitch to more scary stitches like ‘double treble crochet two stitches together’ (what?!) 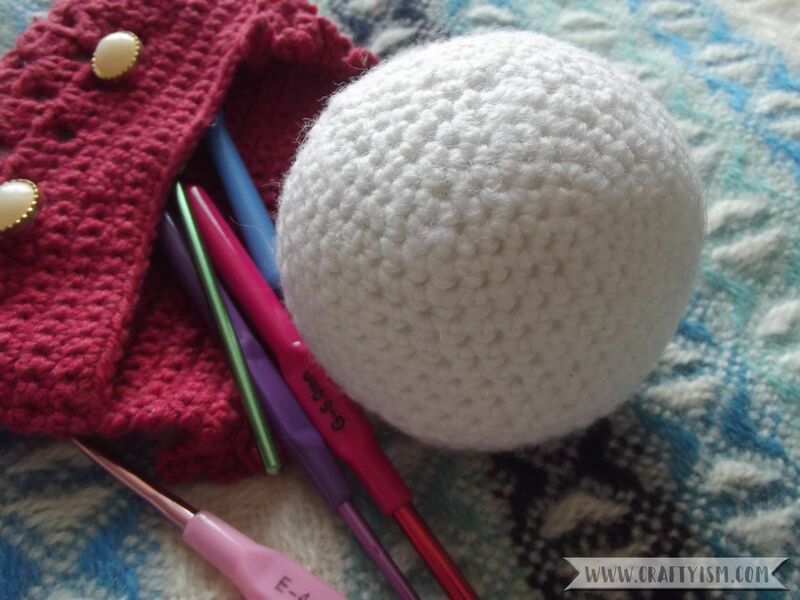 there are very clear written instructions and photos which make you feel like a master of the crochet hook! 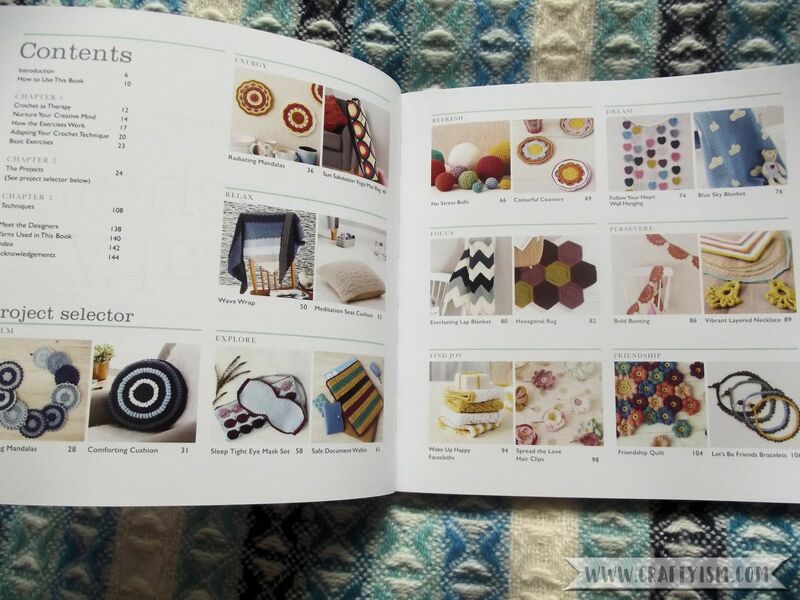 I have been referring back to these when working up patterns not in this book, just because they are so good. So far I’ve worked up two of the patterns from Crochet Therapy, a ‘No Stress Ball’ and a load of the small puff flowers from the ‘Friendship Quilt’. The ‘No Stress Ball’ made up really quickly and would be great as a stress reliever, but mine has been acquired by the cat as a chew toy! 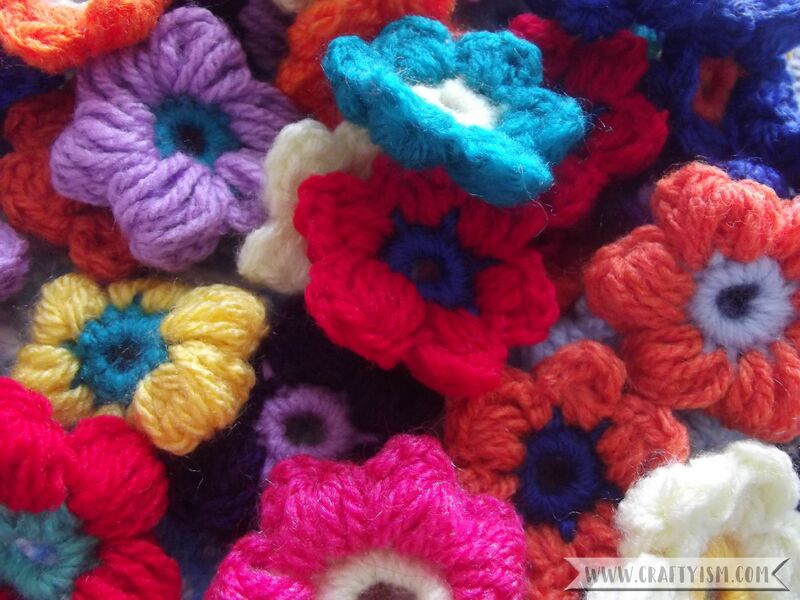 I’m planning to make a blanket with the small puff flowers. So far I have about 100, but after laying them out I think I need a few hundred more for a decent sized bed throw. Luckily Crochet Therapy includes a pattern for a larger flower. I might make a few of these up so I don’t have to make as many small flowers. 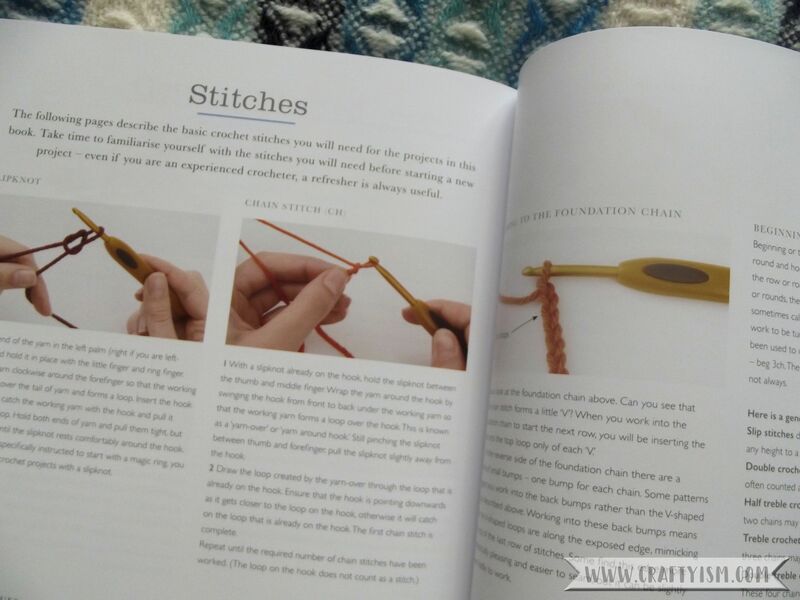 I am so pleased I picked up Crochet Therapy and I would happily recommend it to both beginners like me and to experts who are looking for a different take on crochet. I’ve been learning a lot of new techniques and I can’t wait to get started on the other projects. If you have any crochet books you can recommend to me please let me know. Also if you do treat yourself to Crochet Therapy, let me know how you like it!